This just in from the Microsoft is being foolish again desk. We have told you that Microsoft is seriously pushing their vision of the PC again. They have dropped all pretenses that the PC is all about you and are now rushing headlong down the tunnel with the thought of monetizing your PC usage with the cloud. To do this they are shoving their new UI Metro down your throat whether you like it or not. There have been some that like Metro calling it sleek and slick. However, while Metro is manageable it is also very dull and lacks any kind of elegance or class. It looks like a kid designed it and like XP brings images of Fischer Price to mind instead of a high-performance operating system. Now we have tested and worked with Windows 8 for x86/64 CPUs and have found that it can be very quick, but with its new driver model and a few other issued (like not supporting some CODECs) it is not going to be a smooth transition from Windows 7. Even with that if you take away the MetroUI (or at least make it easy to remove) you have a decent operating system. The problem is, as we have said before, taking way Metro removes the monetization effect that Microsoft wants to gain. With the full screen layout and format for all of the Metro apps it will give many the feeling that this is all there is. Microsoft wants to make Metro not only the default, but eventually the ONLY interface that users are exposed to. We have already seen this start to pop up in Windows RT. Now for their ARM based tablets, we really do not that much of an issue with it. After all Apple, and Google both limit what you can do and there is no “desktop” mode to switch to. However, we think that Microsoft is dead wrong to try and force this onto the x86/64 world. Now if you think this is some crazy idea and that this cannot possibly be the route Microsoft is taking then you might want to think about this. As Microsoft evolves their operating systems and builds their base applications they update their programming tools. Not that long ago, in an effort to get more people programing for the Microsoft environment, they started releasing a free version of their flagship Visual Studio. This became Visual Studio Express and joined SQL Express as an often used light development tool for educational and even small “start-up” development projects. We almost always have both of these hanging around as they are excellent tools to do quick development work (and as both are free there is no licensing to worry about). Now these tools were very complete and allowed for programing in VB, C#, C++ and even Web Development through different versions. In the next version these languages will be available again, but they will be combined into one development application. You will have Visual Studio Express 11, Express for Windows Phone and, Express for Azure. Inside Express 11 you will only have options to create Metro based applications. There are no built in templates or libraries for desktop applications. Metro is it when you open the box. Now we have not heard if you can import templates, targets or other items from Visual Studio 2010 or not, but we are certainly going to find out. If you cannot then it is clear that Microsoft is forcing Metro on the consumer and entry level developers. The full version of Visual Studio does have extensions, libraries and templates for the desktop mode, but it is pretty clear what Microsoft wants you to use. For people that do not want to be forced to Metro, Microsoft has offered the suggestion of buying the full version of Visual Studio (which can cost over $2,000 for a single license) or stick with the now almost three year old VS 2010. If this sounds like the move with Media Center you are right. When Microsoft wants to push something they offer their way free (meaning their new streaming cloud based media service) and charge you for the other way. In the end Microsoft is going to alienate a large number of the consumer market along with developers. 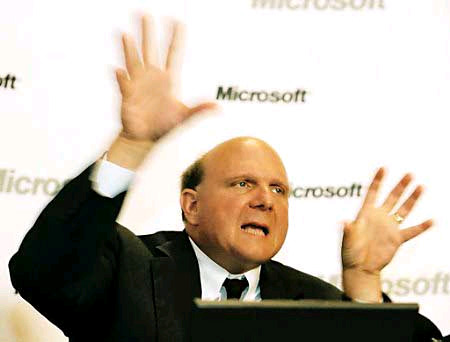 This will make Ballmer’s estimate of 500 Million Windows 8 sales a little rough to attain in our opinion.